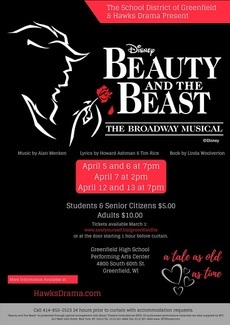 All families with students involved in the cast, crew, and pit should sign up to support the show so that we have a smooth run. Thank you in advance for donating some of your time! Note: If you sign up to help with Tech Week Food, we will do the shopping - We just need your help cooking for 100! Please bring on April 1. Donations will be divided up between April 1-4.